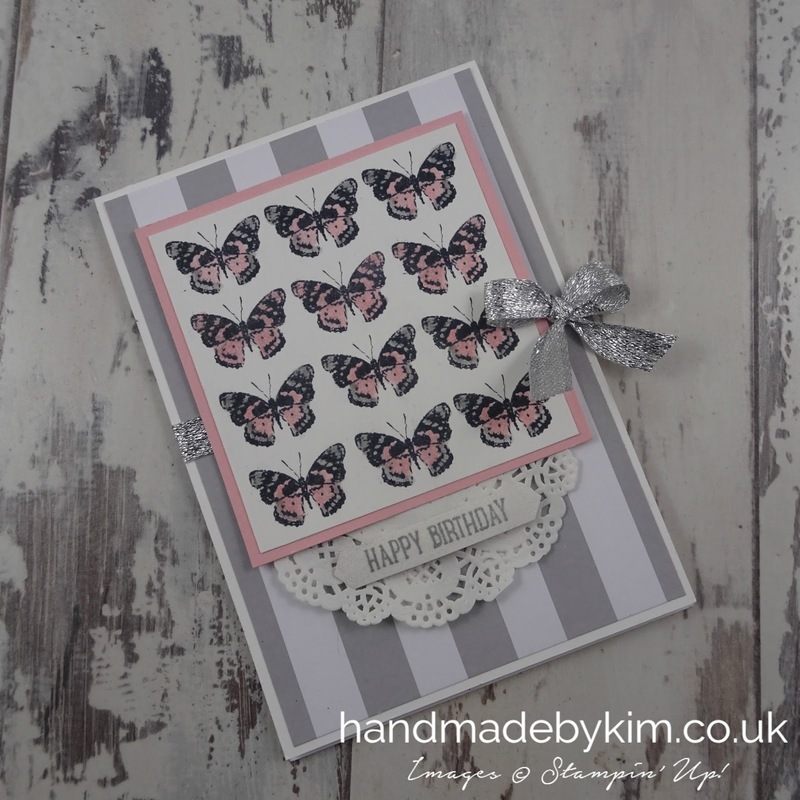 I've made today's card for this month's Pinkies Team Design challenge which is being hosted by Michelle Last. 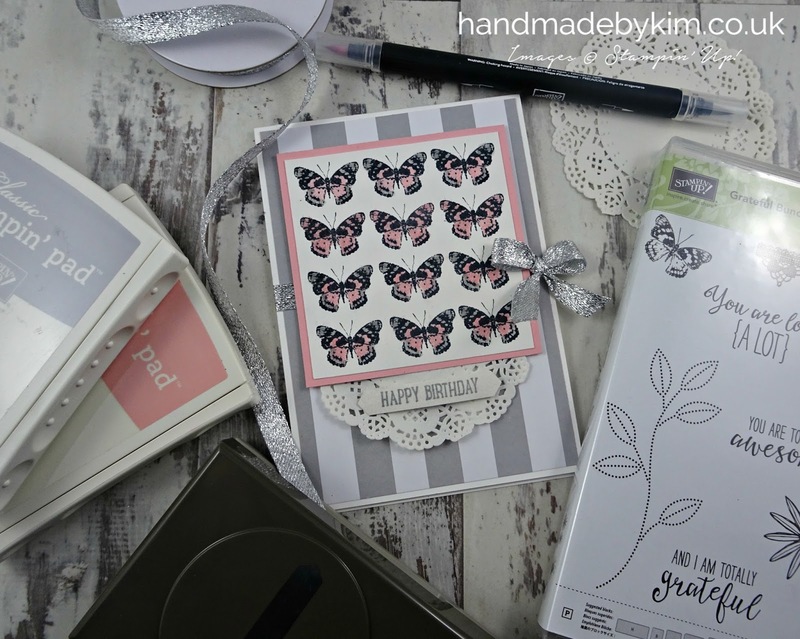 The challenge we've been set is to showcase colouring techniques using current products from the Stampin' Up! Annual Catalogue or Stampin' Up! Autumn Winter Catalogue. winner will receive £20 to spend on an item of their choice from Stampin' Up! To vote, head over to Michelle's blog at 9:00am on Tuesday 25th October. You will have 3 votes each to place on your 3 favourite cards. Just click the heart in the top right hand corner of the photo to place your vote. If you can't wait until 9:00am on Tuesday and want to place your vote now, all you have to do is click here. Do take some time to check out all of the projects and also visit Michelle's blog to see what she has made. For my card, I chose to use my Blender Pens to 'colour in' the butterflies. This cute little butterfly is taken from the Grateful Bunch Photopolymer Stamp Set and I love it - it reminds me of the large Swallowtail stamp that retired earlier this year. Although the stamps are photopolymer and clear, to line the butterflies up perfectly, I decided to use my Stamp-a-ma-jig. It's taken me a while to get to grips with it, but now I find it really useful for designs like this! 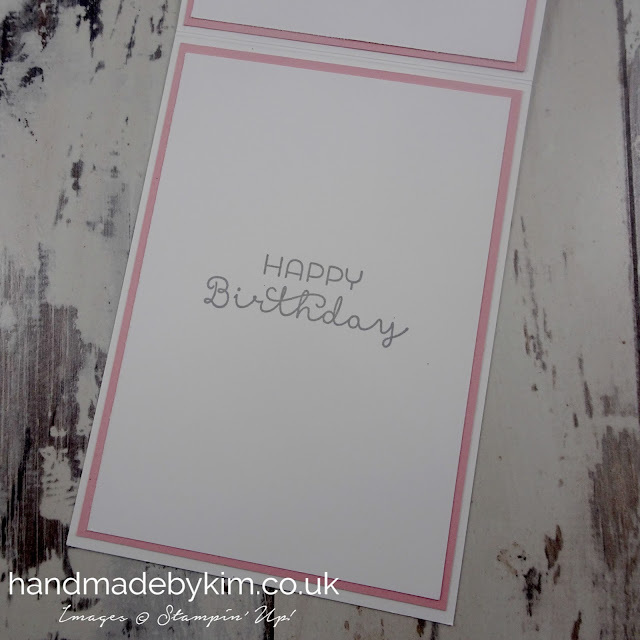 The happy birthday sentiment on the front of the card is taken from the Baby Bear stamp set and has been punched out using the Classic Label punch. I used my Blender Pens to pick up some Blushing Bride and Smoky Slate ink from my ink pads. I 'coloured in' all of the butterflies using these colours before adding a sparklyear finish of Wink of Stella to them. Top tip - Blender pens are really great and can be used when you don't have the Stampin' Write Marker in the colour you want. You do at the very minimum need to have either the ink pad, or the refill in the colour you want to use. To complete the card, I stamped the sentiment Happy Birthday on the Whisper White inside layer - this sentiment is taken from the Cottage Greetings stamp set. I hope you've enjoyed my project today - don't forget to place your vote for your top 3 favourite cards by clicking here.